Most of us believe fashion rules dictate seasonal color palettes: bright, neon, and cool tones for flower-filled spring days and deep plums, browns, and olives for cooler fall nights. Well, I say take that rule and throw it out the window. Here's how to wear bright lipstick in the fall without looking crazy, plus five shades that you can buy now and wear through November (heck, even December!). You can let a bright pink lip pair with a navy sweater, or a neon orange lip with a camel coat. All you have to do is make sure your lips make the statement. If you want to transition your favorite lip shade from spring and summer, make sure you keep the rest of your beauty look minimal. Keeping your eyeshadow light, and your face fresh without over-contouring will make your bright, shiny lip look appropriate for the season. It helps if you wear an ensemble made up of neutral shades and high quality, textured fabrics. 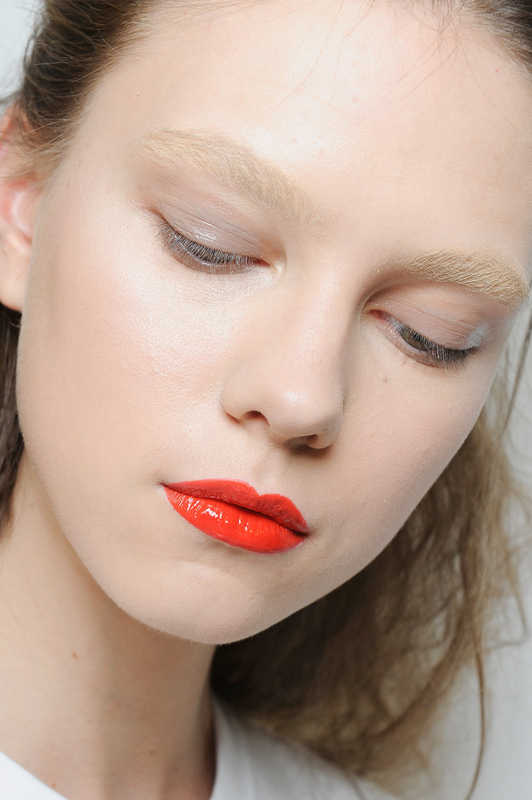 You can also let your bright, neon lip elevate a dark wardrobe or oversized, extra cozy outfits. Another trick for making bright shades work for the fall is choosing a different formula. While glosses are popular for the spring and summer, mattes are preferable for the fall. While this certainly isn't a rule you can't break, you can choose bright shades with matte finishes for the autumn. Here are 5 bright shades I love for fall and think you will, too. This purple-toned fuschia is just as good at a summer BBQ as it will be at a pumpkin carving party. Red is always in season, especially in this rich, red shade. This is the perfect shade to brighten up any dreary, fall day. If you want to add some brightnes to your ensemble, while keeping it on the subtle side, opt for this soft, salmon-hued pink. Slap on this bright red shade and no one will even notice you're wearing all black or neutrals this fall.